Modern physics is increasingly dominated by “big science” projects such as the Large Hadron Collider. However, it is refreshing to know that mathematics can enable a lone genius to make earth-shattering discoveries using nothing more sophisticated than a notepad and pen. Two of the greatest exponents of this art were James Clerk Maxwell and Albert Einstein. 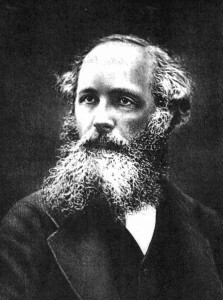 James Clerk Maxwell suggested the existence of radio waves as early as the mid-1860’s. Starting from earlier work on electricity and magnetism by Michael Faraday and others, Maxwell produced a set of mathematical equations that describe the behaviour of electric and magnetic fields and their interaction with matter. Using these equations, Maxwell was able to show that oscillating electric and magnetic fields should be able to travel through empty space, and that they should be reflected and refracted in the same way as light. Indeed, Maxwell calculated that the velocity of these fields through empty space would be very close to the known speed of light, leading him to speculate that light itself might be a form of electromagnetic wave. Since electromagnetic waves were not constrained to oscillate at any particular frequency, he suggested that there might be a whole spectrum of electromagnetic radiation of which visible light was just one small part. However, Maxwell’s equations suggested that the speed of light would be the same for all observers. This was in direct contravention to Newtonian physics, and it was something that deeply troubled the young Albert Einstein forty years later. In 1905, Einstein published his Special Theory of Relativity which overcame this difficulty and showed that Maxwell was right. Two months later, he published a follow-up paper that contained one of the most famous equations in physics: E=mc2. 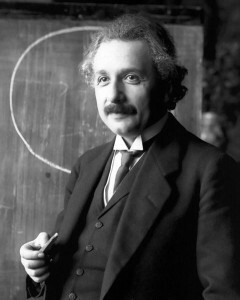 In 1931, on the hundredth anniversary of Maxwell’s birth, Einstein described Maxwell’s work as the “most profound and the most fruitful that physics has experienced since the time of Newton”. That’s VERY high praise! These issues may seem a bit esoteric, but the theoretical work of Maxwell and Einstein has extremely important implications in the real world of telecommunications. The discovery of radio waves by Heinrich Hertz – which came directly from an attempt to test Maxwell’s theoretical predictions – continues to provide new and improved methods of mobile and wireless communication. On the other hand, Einstein’s revelations about the speed of light still place a fundamental (and extremely frustrating) limit on the speed at which we can communicate information. I sincerely hope that the increasing emphasis on huge and massively- expensive projects like the Large Hadron Collider will not rule out major advances being made by a lone genius armed with nothing more expensive than a notebook and pen.